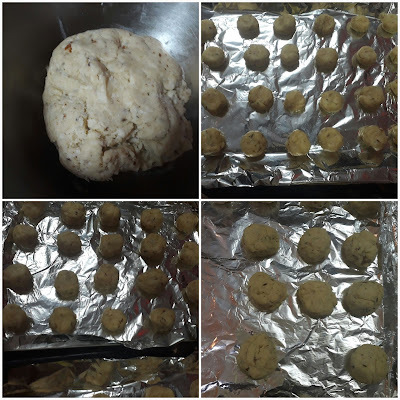 I had saved this recipe long time back i also came across many different versions of surti butter in blogosphere most of them used yeast..Those are crispy too but i was in search of a typical buttery surti or jeera butter that are sold mostly in parsi bakeries. To my surprise these turned exactly the same like the ones sold in Parsi bakeries and we all loved it.Baking them is now a regular affair .. Ever since i tried these buttery melt in mouth biscuits i have been baking it thrice a month we simply love this.. The recipe is straight forward and the best part is it uses just minimal pantry ingredients..so do try it you will be hooked on it for sure.. In a bowl mix softened butter ,sifted flour, rava and almond powder . Add jeera/cumin ,sugar and salt ,mix with a spatula. Pre heat the oven at 180 degree Celsuis for 10 minutes. Bake at 180 degree Celsius for 30 minutes then lower the temperature at 135 degree Celsius and bake for 1 hour 15 minutes. Allow them to cool in the oven for 30 minutes. Then remove and let them cool completely. Store them in air tight container and enjoy them with cup of chai or coffee..
You could skip the almond powder but it does give a nice taste. 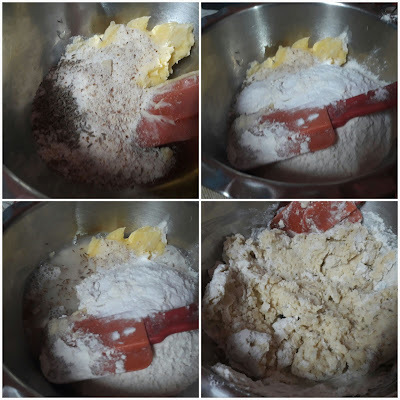 Now that christmas is nearing, a special request for ginger biscuits recipe. Not the soft chewy american cookie but the crisp thin british ginger biscuit, please. Buttery melting moment? I feel it.